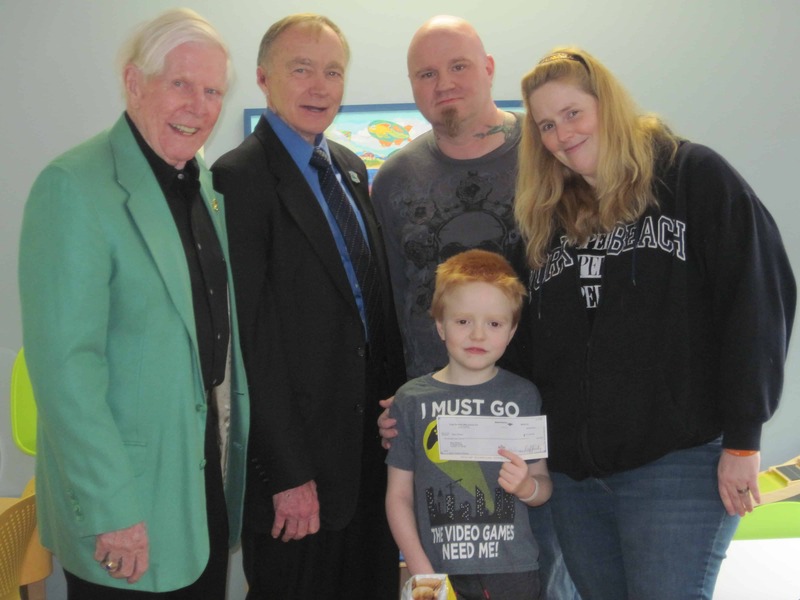 Cops For Kids With Cancer went to U-Mass Medical center in Worcester and made a $5,000.00 donation to the family of Brandon Williams a 6-year-old boy from Putman, Conn. Who has B-cell, ALL. In photo left to right, Bob Faherty, CFKWC, Chairman, Lt. Det. MSP Bill Coulter, Brandon, Father Brandon and Mom Misty.